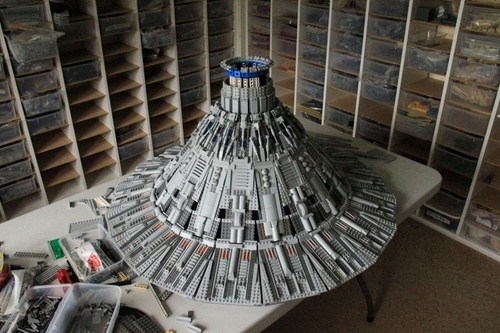 LEGO artist Garry King has built a massive replica of a Cylon Baseship based on concept art by Ralph McQuarrie. 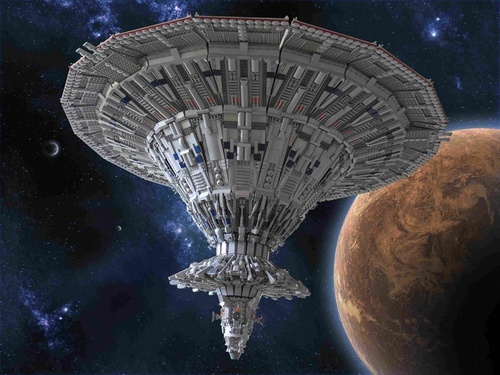 The original Battlestar Galactica really doesn't get enough credit. Sure, it was often campy and suffered from a low budget, but at the end of the day it told an entertaining story that was, in the least, more consistent than the "gritty realism turned to clumsy religious allegory" of the re-imagined series. 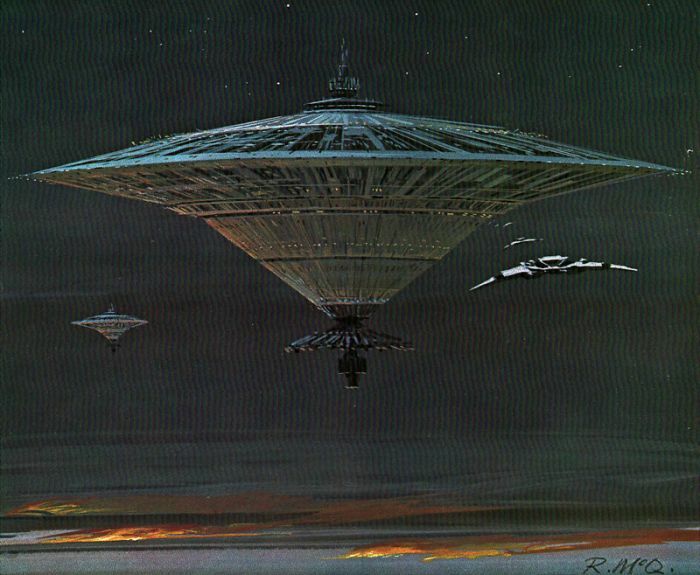 Included among its finer qualities were also some pretty nifty ship designs, both in the actual show and the concept art that helped define it. 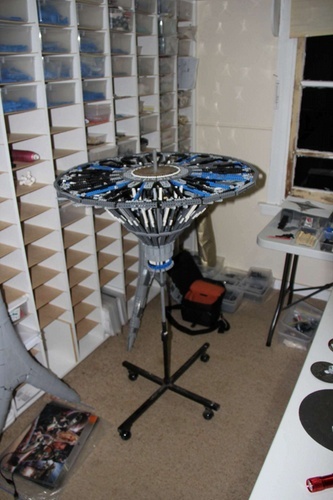 Recognizing this, LEGO artist Garry King put together one of the coolest LEGO projects we've seen in a long time: a huge model of a Cylon Baseship. 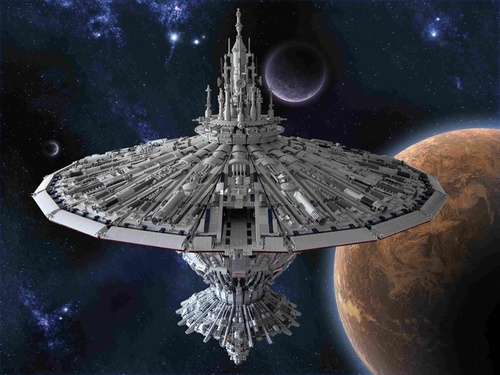 Basing his replica off of concept art by Ralph McQuarrie, whom the world also owes for the bulk of Star Wars' iconic imagery, King spared no detail in the creation of his Cylon Baseship. 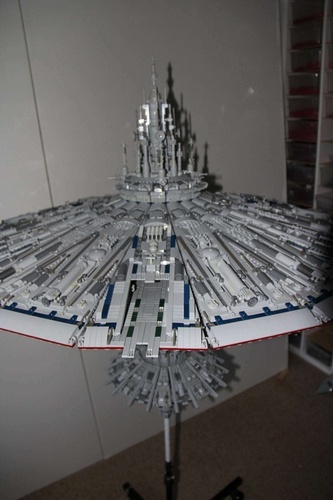 Weighing in at around thirty-six pounds, his replica used a whopping 16,387 LEGO bricks and measures 1100mm wide by 1030mm tall. "I like this build because it is unusual in design and concept," said King. 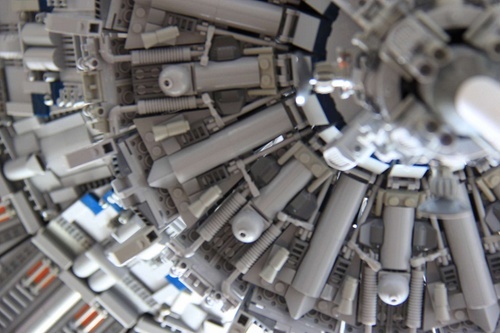 King's LEGO version may be the first physical realization of McQuarrie's original concept, which was eventually altered for the actual show. "It never got developed as a model until now." 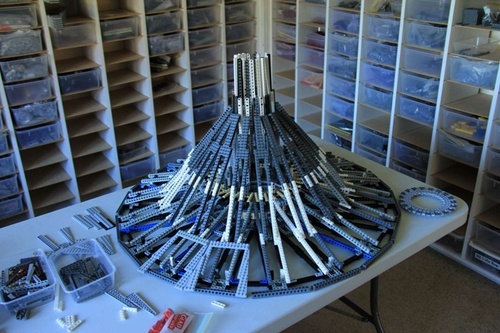 With little in the way of reference material to work from King had to adapt the design to LEGO bricks primarily from his own interpretation. 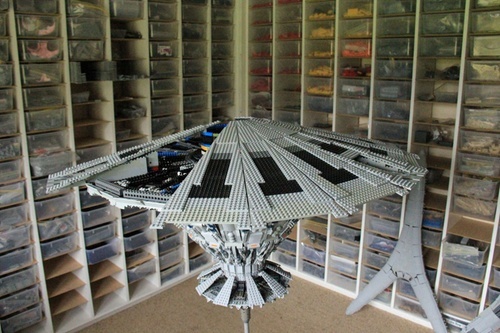 We feel somewhat safe in saying his project is a complete success and one of the most impressive custom LEGO designs that we've ever seen.